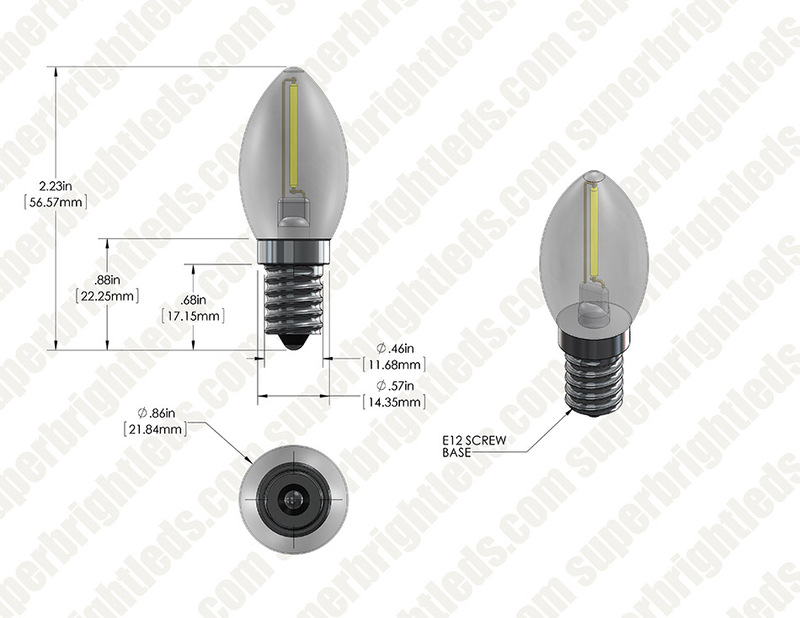 LED Vintage Light Bulb - Decorative C7 LED Bulb w/ Filament LED - 2W Blunt Tip Candle Bulb: 360° View. LED Vintage Light Bulb - Decorative C7 LED Bulb w/ Filament LED - 2W Blunt Tip Candle Bulb: Shown On Ultra Warm White (Left) And Warm White (Right). 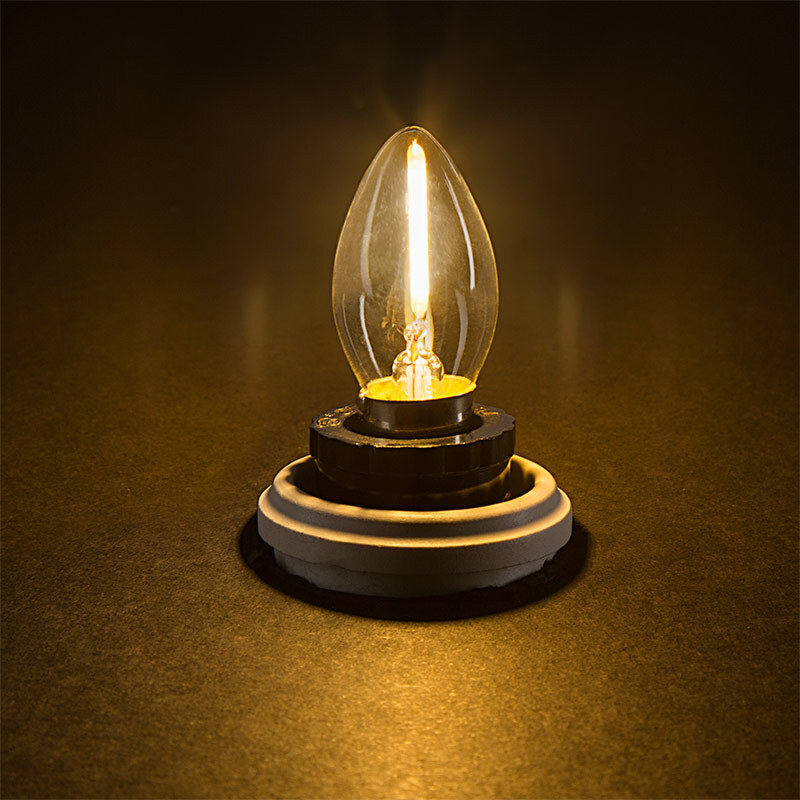 This vintage LED filament bulb is perfect for accent lighting, night lights, restaurant pendant lights, ornamental lights, commercial light strings, decorative light strands, or for any decorative, low-light application that accepts C7 candelabra bulb types with E12 bases. 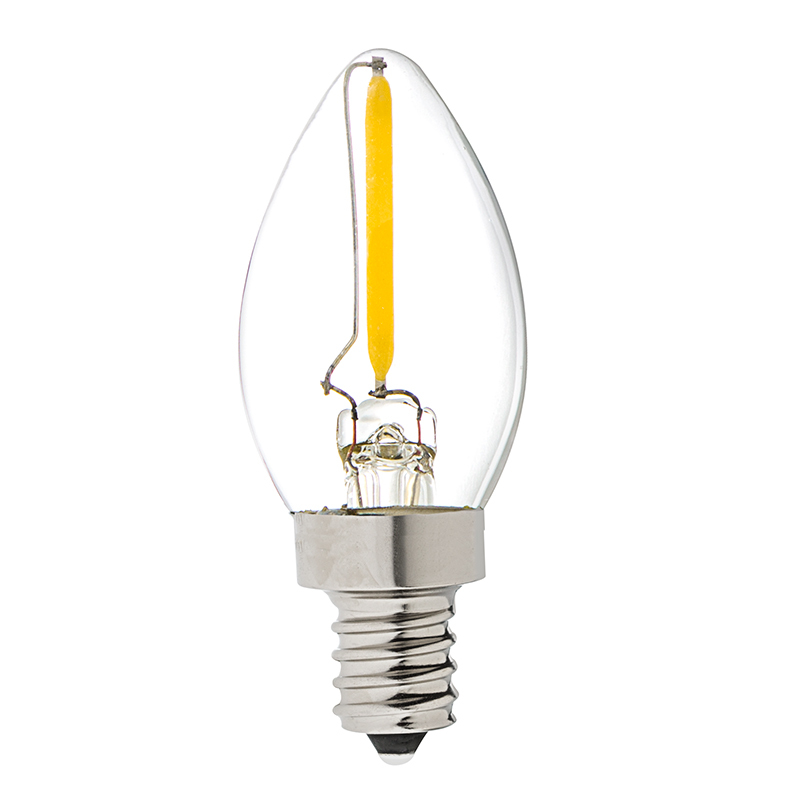 The C7 bulb has 1 linear COB (chips-on-board) LED that imitates the look of thin filament wire in antique-style bulbs. 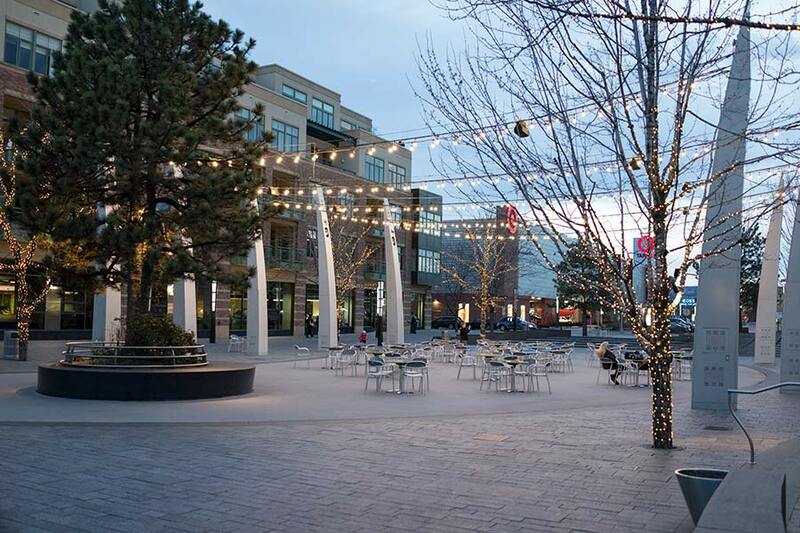 LED produces up to 53 lumens of warm (2700K) or ultra-warm (2200K) white illumination. 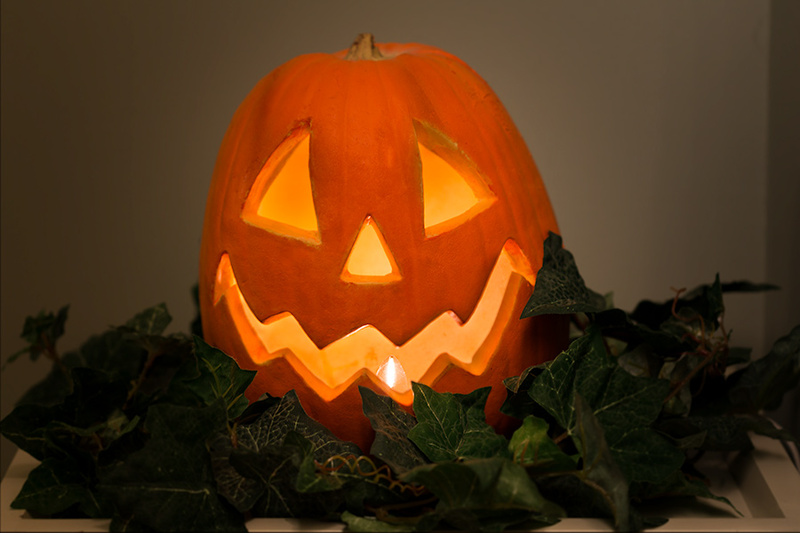 The energy-efficient bulb uses only 2 watts of power; an incandescent bulb with comparable light output would consume 10 watts. 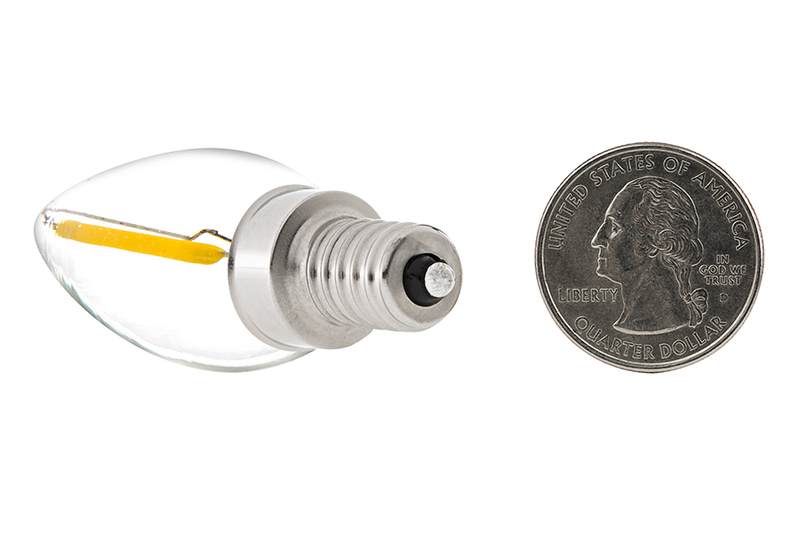 This bulb has 120V AC operation and is designed to last 30,000 hours—25 times longer than incandescent bulbs. Outlet Voltage 121.7 volts. Brightness measurement taken 21 inches from bulb in a dark room. Measured power consumption with a volt meter that has amperage reading. 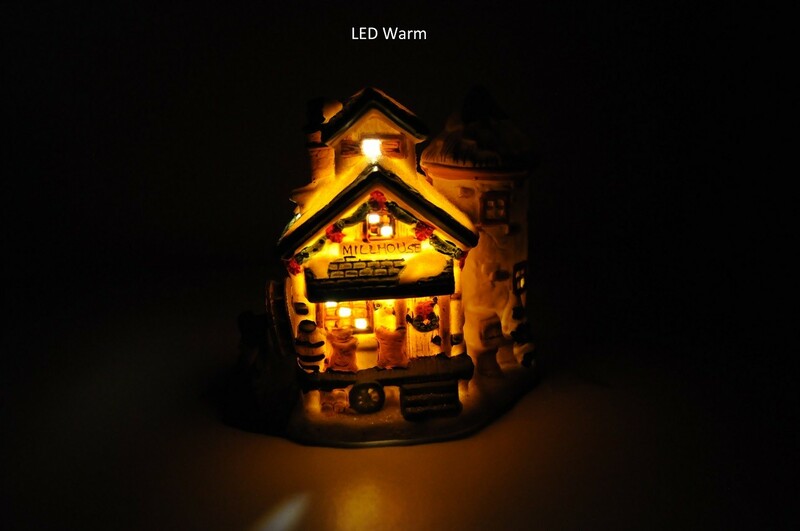 I believe the Ultra Warm more closely matches a 7 watt incandescent in color and brightness than the Warm one. I used an app on my Galaxy s5 to measure the brightness. 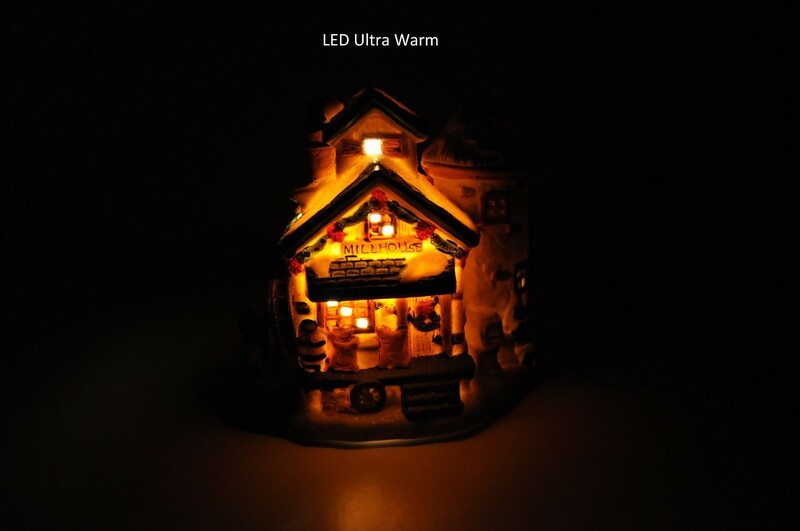 The Warm LED is a brighter and whiter but if you're using these for Christmas decorations, like I will be, the ultra warm is probably the best to give that old fashioned glow. 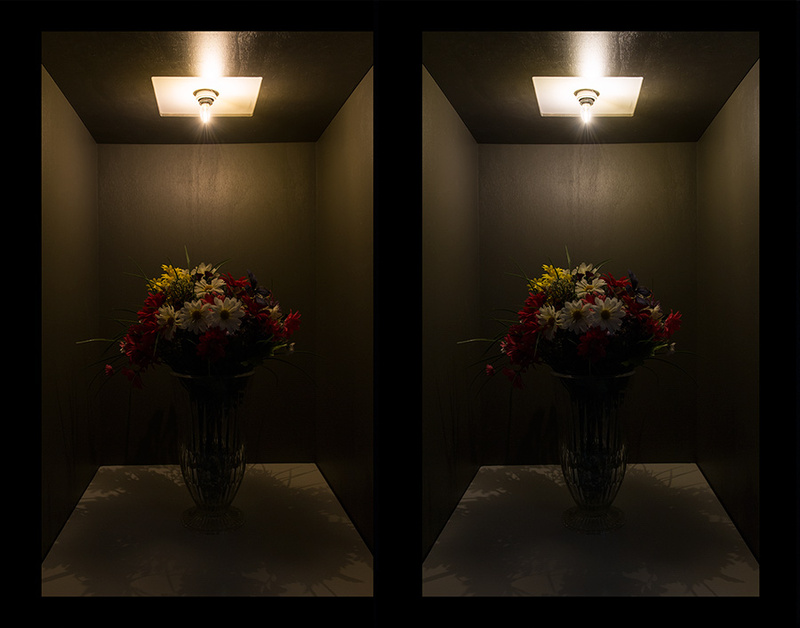 I will add another review, if I can, to post another picture with all 4 bulbs on at the same time. have the 2200k. beautiful appearance on or off and nice warm light. has that classic clear bulb with filament look. 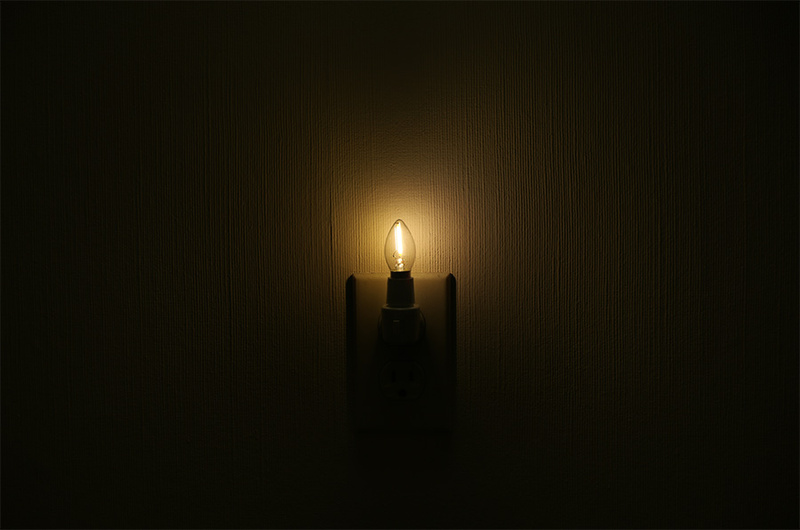 I was looking for a dim bulb for a light in a small lamp to serve as a non-traditional night light and this was excellent for that purpose. 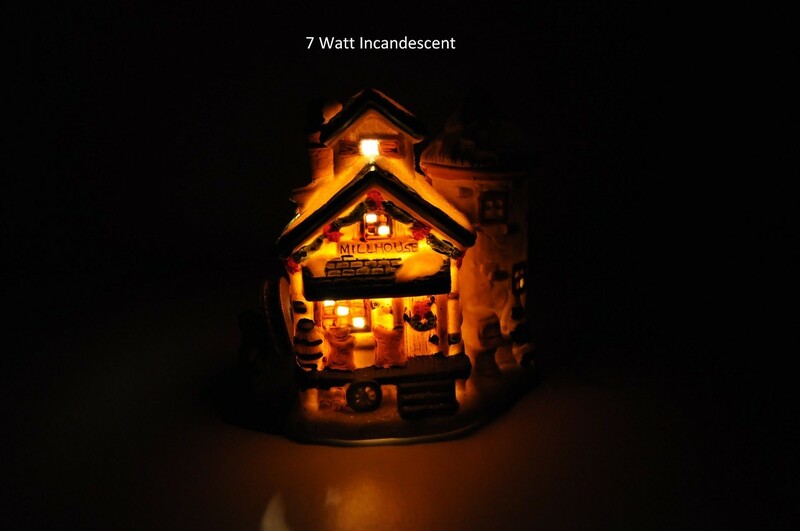 Many incandescent bulb automated circuits require a minimum current load to operate properly. LED bulb may not provide the needed load. This is just what I was looking for. I put four of these bulbs in my front door chandelier and they give off the perfect amount of brightness for my front entrance. I put 6 of these bulbs into a lamp that had blue art glass shades. I wanted something that would not be very bright, but still show nice color through the shades. 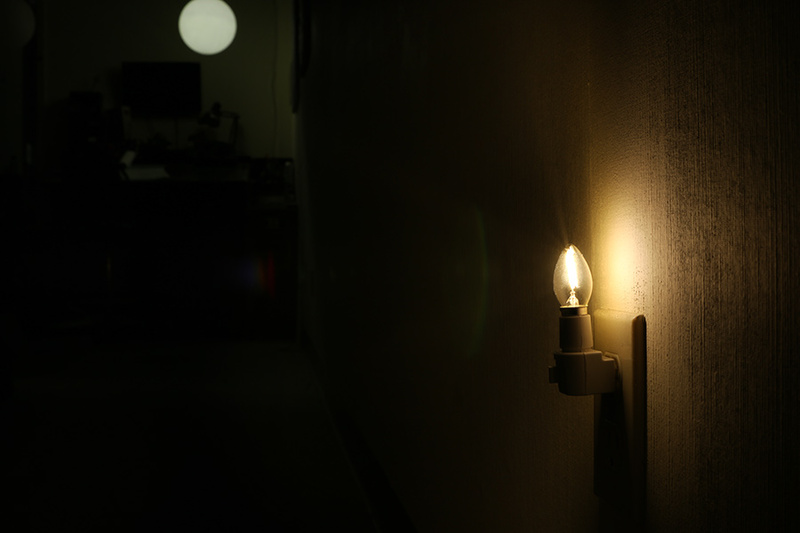 These bulbs are perfect, they provide just enough light for a ambiance/accent, and use very little power. They are also dimmable (at least with the lamp's built in 2-level dimmer).